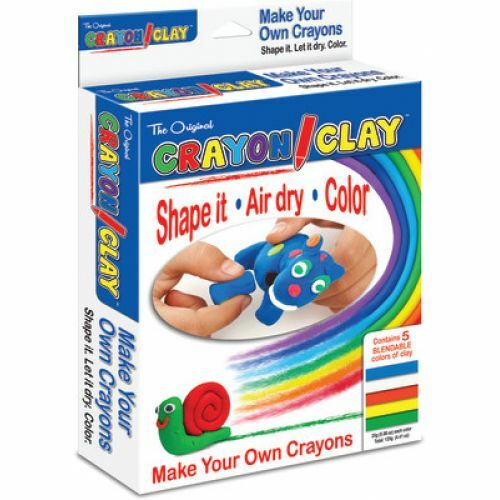 This new product is the ONLYclay that magically dries into a fully functional crayon! 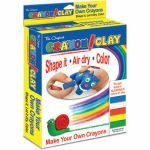 Each box comes with a set of 5 blend-able colors of clay – that you can shape into anything. Once dry, after 24 hours, the hardened clay is now a crayon!